I find it calming when I think of the days where soiling yourself did not come with ridicule and shame. That’s where my story begins and that’s where I hope it ends – a life where trying and failing should not bring about embarrassment, but instead, bring about a drive and determination to do it better the next time around. My kingdom of feces actually did exist, believe it or not. When my parents came home one day, they found me in my crib, fortified within walls of fresh poo – which I had cleverly engineered around myself to resemble a castle. I was always, and still am, a curious child. Why did cockroaches live in my cookie box? Why do some stars have six points? Why is there water in the ocean? For that last one, I actually drew a picture of a kitchen tap filling the ocean with water, then took it to my mother to educate her on where water in the ocean actually came from. I guess I should get the specifics out of the way now. 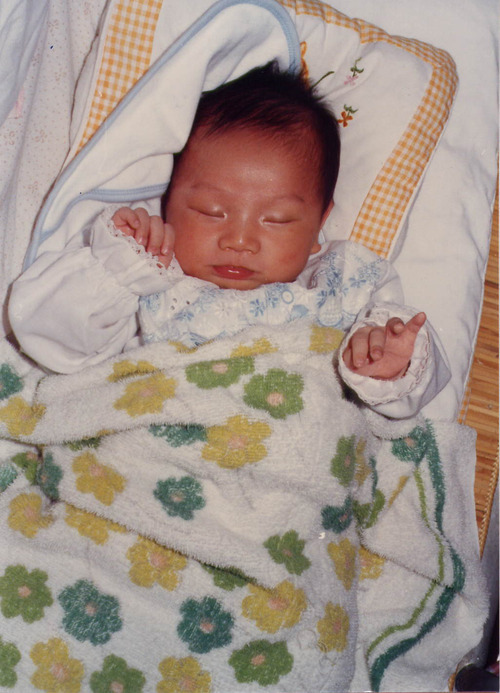 I was born in Taipei, Taiwan on June 3rd, 1987. My mother (Angie), father (Allen), and sister (Sandra) lived in a four-storey home on a busy street in Taipei. I also lived with my grandparents, two uncles, two aunts, and many rats and cockroaches. Don’t get the wrong impression; in Taiwan at the time, this was definitely upper-middle class living. My early days were filled with trips to the amusement park (where I’d be too scared to ride the horse carnival rides), trips to the water park (where I’d get lost in the water maze, scamper back out the entrance, and cry because nobody was waiting at the entrance for me), and trips to and from school, usually accompanied by my sister and my grandmother. After a long and hard day at school learning about how to tie your shoelaces and why making water-squirting milk bottles and getting girls soaked was bad, my grandmother would always buy hot red bean biscuits for my sister and I on the way home. (Incidentally, there was actually homework on tying your shoes, so I took it home and asked my mom to do it for me. I tried it 12 years later with calculus and ended up with different results). It was around this time when my arrogance really began to prosper. Sometimes when I played chess with my grandpa, I’d point to certain pieces and let him know that in a few moves, those pieces would no longer exist. Either he pitied me or got intimidated by his four-year-old grandson; I actually would get those pieces and win the game. One day, when I was playing with a massive dice that we somehow had (symbolism? ), I was notified that we were moving to another country called Canada. Pictures were shown to me, and I chose a room that I had liked (which I never ended up getting). Suddenly, and I really don’t remember this, everything was packed and I was on a 14-hour plane ride to a place called White Rock, British Columbia.